So, we love our wines in Texas. Sometimes a little etiquette helps to make your wine experience better, my last blog was on temp and corking, so today I will share some new tips. If enjoying a sparkling wine, be sure to pour the wine down the side of the glass to protect those fun little bubbles. Pour what they call still wines right in the middle of the glass, and don’t fill more than half a glass at a time. You can buy the most expensive wine there is, but it won’t taste good in a red plastic cup. Red wines need a big glass with wide bowls. Whites go into skinny glasses with a narrow bowl. Not sure why, but this does make a big difference. So you see folks, swirling, sniffing and checking for color. That is fun, but all you need to do is just sip your wine to enjoy it. Don’t gulp, let it stay in your mouth a little to get your taste buds working, then each sip will get better and better. Until next time, do buy great Texas wines and enjoy them with friends. Visit the Texas Wine Trails page and go for a driving wine tour. 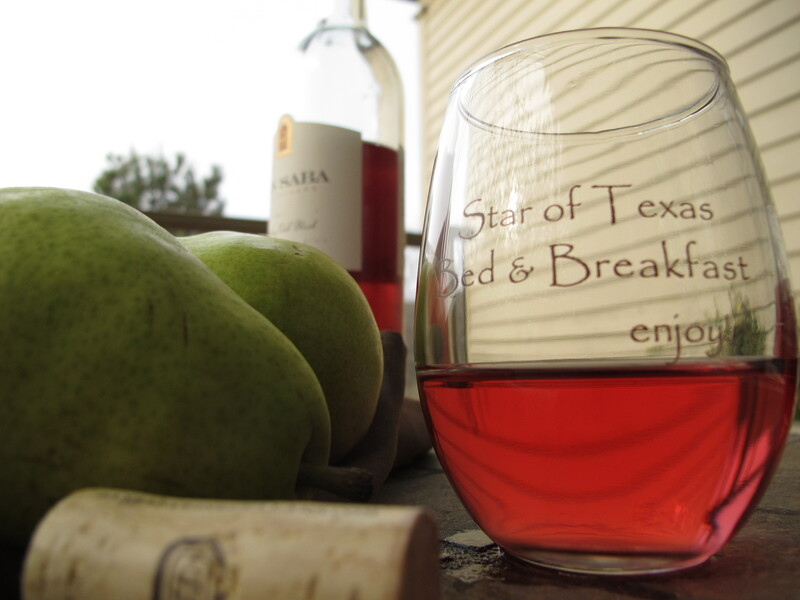 This entry was posted in Deb's Doodles, Texas Wine Trail and tagged Texas wines, wine tastings by admin. Bookmark the permalink.